Not all jackets are created equal, especially when you consider how advanced the adventure-minded Apricoat is. Having raised a whopping $1.7 million on Kickstarter, the Apricoat - which includes 16 pockets filled with mountain-climbing must haves - is now available for pre-order. The design includes GPS locater, a two-litre Hydration Pack, Inflatable hood, First Aid kit and more. It's waterproof and windproof and is perfect for in use in cold weather, wet weather and even humid climates. It features three separate layers, but it's surprisingly lightweight so you aren't weighed down. You can order your very own direct from Indigogo, where a new crowdfunding campaign will net you an Apricoat for only $129 (£95). Modulus is the only desk that gives you absolute freedom in organizing, upgrading and changing your workspace. You can choose from a massive range of module, including a Rounded Module to added a rounded end, iPad/iPhone Holder module for your fave Apple product; a USB Hub module to keep all your fave devices connected; a Wireless charger module for powering up your smartphone and much more. The range uses a Croatian wood for a classical yet fresh look, and every module fits perfectly together with its fellows to create an endless list of combinations. You can pre-order one Modulus module for $159 (£117) today from its official Kickstarter page, or (at the top end of the scale) for $1,349 (£995) you can get a set of ten modules and four legs. Do you prefer commuting on two wheel as opposed to four? If you do, you might just be in the market for a SmartHalo, a clever little gizmo that turns your trusty push bike into a smart, connected travel system. Using a unique halo of light on its circular screen, the SmartHalo gives you turn by turn instructions so you can find the fastest, and the safest, route to take when commuting through a busy city or town. The SmartHalo Bicycle Navigation system is now back in stock and available to order online at smarthalo.bike. 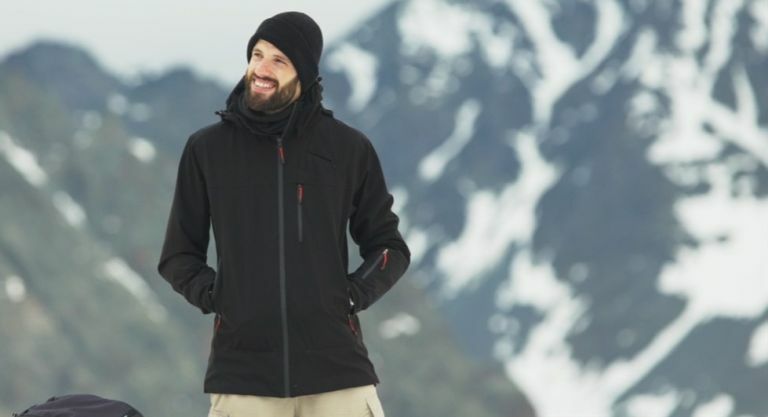 Outdoor clothing maker Mammut has just launched its new Mammut Eiger Extreme Collection, featuring a new range of jackets and boots. First there's the Nordwand Pro HS Hooded Jacket, which features top-of-the-line Gore Tex materials and a stormproof design that's ideal for use in even the harshest of environments. It's available in designs for both men and women, and retails for £650. Then there's the Nordwand Light Mid GTX Men, which boasts a crampon-friendly design (for extreme hikes, climbing, and more), doubled inner heel straps and a reinforced carbon midsole. You can order yours today for £350.